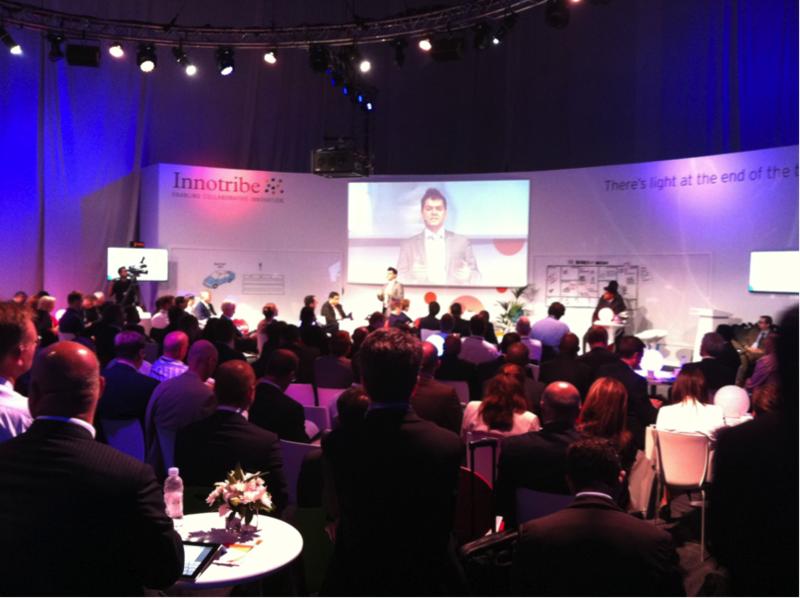 Innotribe at Sibos Dubai – What a week it was! 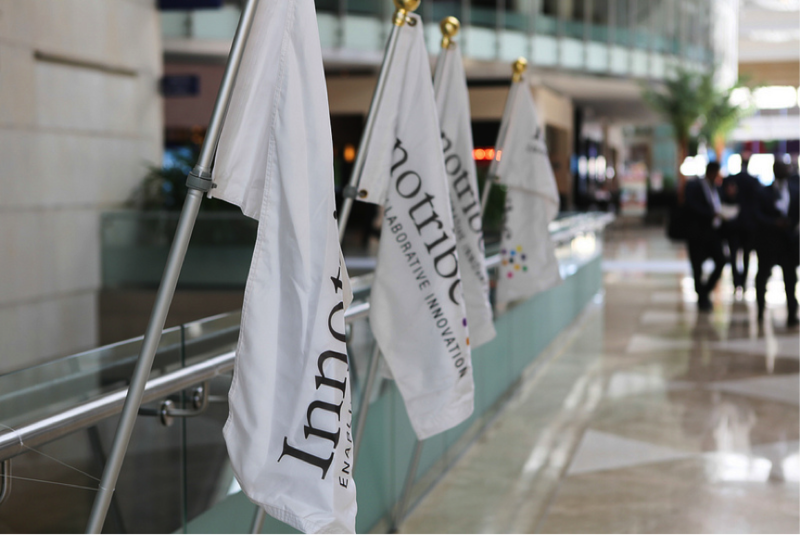 It took us about a week to recuperate from another “Grand Cru edition” of Innotribe at Sibos 2013 in Dubai. This edition would not have been possible without the dedication of the speakers, the production team of Georges P. Johnson, the volunteers from other SWIFT departments – we call them “our heroes” –, the Sibos team and the support of Head of Sibos Sven Bossu @svenbossu, and last but not least the Innotribe team itself: a big thank you to all of you! 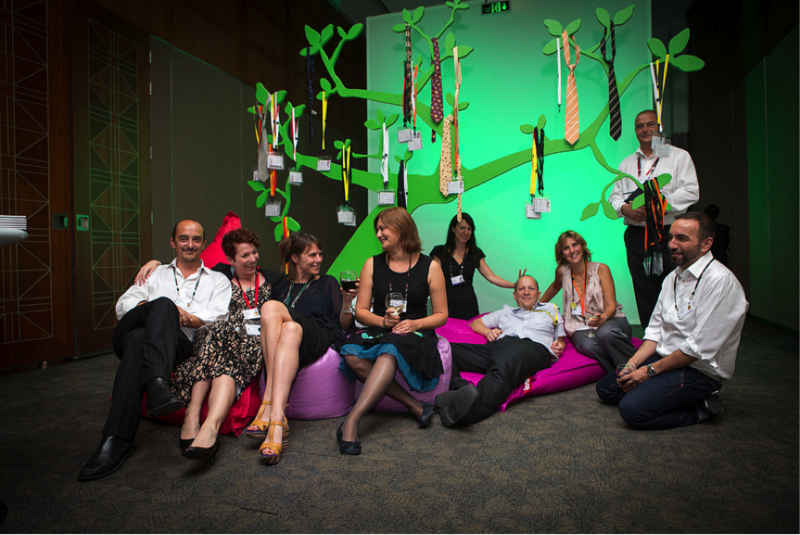 The awesome Innotribe team in Dubai, from left to right: Innes, Ashley, Muche, Mela, Ioana, Domi, Dana, Peter, and Nek. The 2013 has been been very well covered by press, special editions of magazines like the Informilo and HP publications, the Sibos Issues editions and of course on Innotribe.com. So, I won’t do a chronological overview of what happened in the different sessions, but rather try to synthesize the overall experience. Because that’s what Innotribe at Sibos is all about: memorable immersive learning experiences. Our design principles were two-fold: staying away from polarizing positions, and building capabilities, especially in the area of non-linear thinking. Indeed, this approach was needed to cope with the velocity of change that we are witnessing in and outside our industry. However, the word “change” does probably not reflect the scale and impact of what we are going through. Some our speaker-igniters called for the application of “network warfare” techniques to be able to stay agile and resilient in this environment. Others suggested that our change is evolving from simple “disruption” to plain “phasing”. We also started measuring what is worth measuring. Robert Kennedy was quoted: “GDP measures everything, except that which makes life worthwhile”. What are the intangible assets that will help us better evaluate the full holistic worth of organizations and institutions, both internal and external intangibles? I believe we are seeing the first attempts here to start applying systems thinking in the context of the financial landscape. Our 2013 Startup Challenge resulted in two winners to be truly proud of: KlickEx, Top Startup 2013, a regulated clearing service for Central and Commercial Banks, and Waratek, Top Innovator 2013, cutting infrastructure costs using patented Java Virtualization. For more on the Startup Challenge, see blog post by Nektarios. As if our main Innotribe program was not enough, our team designed together a wonderful Tunnel-experience; you can really consider it as a second program within the Innotribe event. And just to go the extra mile, our team and speakers were also involved in the design and delivery of parallel sessions in the Standards Forum, the Diversity session, the sessions for the Chairmen of the National Member Groups, and the “Young Leaders” session that is looking into the future of Sibos itself. Thank you, thank you for this encouraging feedback. It is the result of a year’s preparation by the team, weekly conference calls with the production company starting four months before D-Day, many prep calls with the speakers, and loads of blood, sweat and tears behind the scenes. 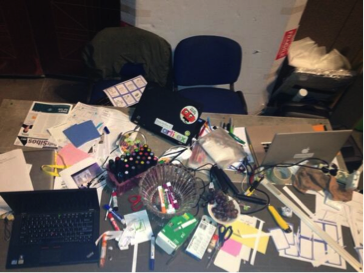 Innotriber Dominik tweeted oh so rightly about the warzone backstage. As in all previous years, this undertaking is an emotional, mental, and physical drain/test for the team. 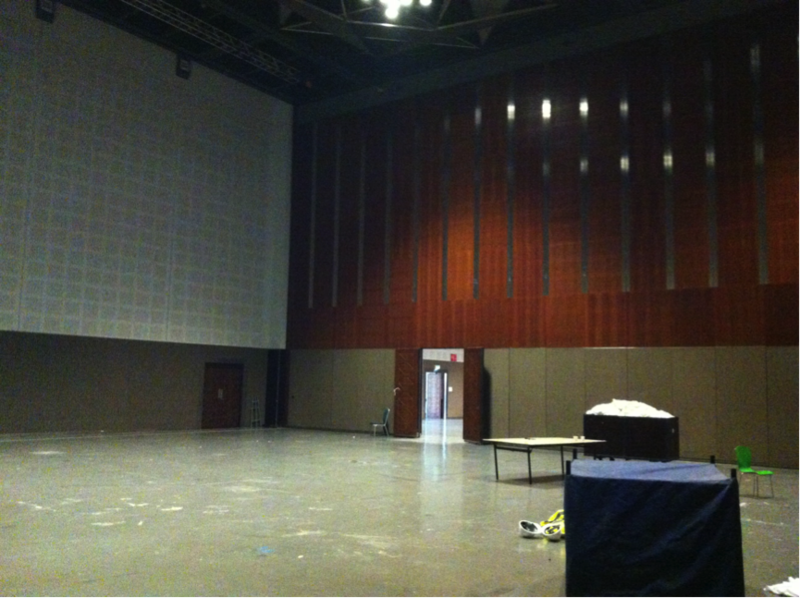 For about 10 days on-site, many of us stayed in the catacombs of the conference center from 7:30am till 2:30am. It forces the team to go through the ups and downs of working together very intensely for more than a week in the same physical space. The whole point is to go through this together. And we come out of it together, all with our own scarves and plumes. We had some guests and newcomers in the team: the impact on them is deep. But “Once been there, you don’t want to go back”. For some of us, it will be difficult to go back to our “normal” working environments. Innotribe is a drug: that is good and scary at the same time, as many of us neglect our own physical and emotional well being. For me, it’s my 5th edition, so I know more or less what’s coming. 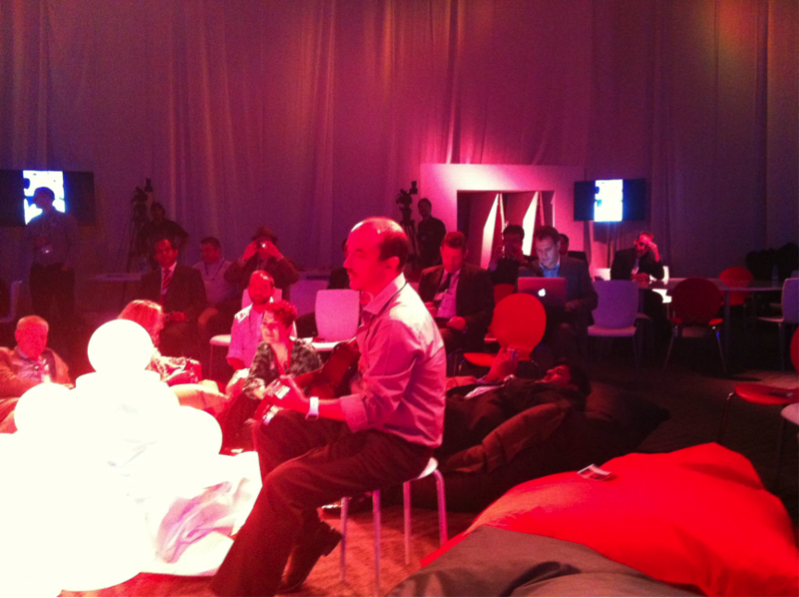 Delivering something like Innotribe at Sibos is like giving birth to a big baby. It also comes with some form of Post-Natal depression. I coped better with it compared to previous years, but am getting aware how much we ask from our colleagues and collaborators, and that some post-event sanity is needed. We put the bar very high. 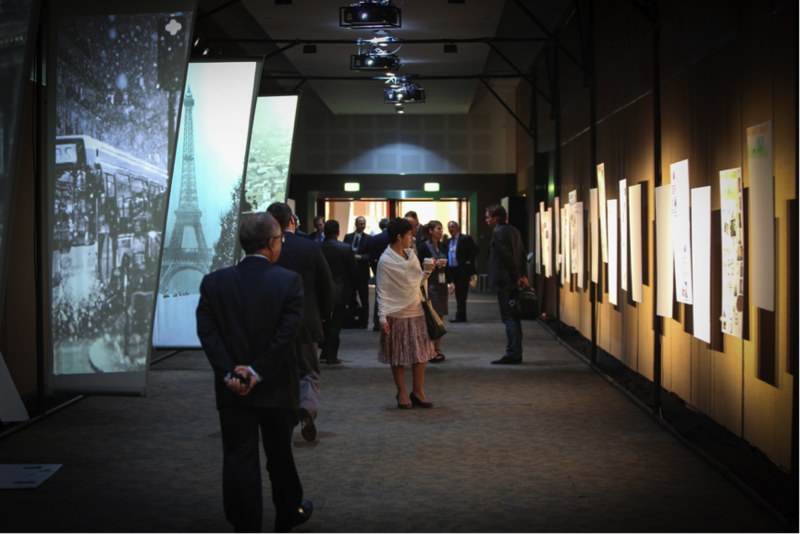 We want to let our audience discover new insights in an immersive learning experience. We want to touch people in an authentic way. We want to create intensities, insightful, rich and with serenity. We also wanted to reflect this authenticity in our closing plenary. No gimmicks, but sincere, tender, kind and humanizing reflections on a week that rocked you all intellectually and emotionally. This edition also felt different, with Matteo and Kosta not being part of the team anymore. We missed them, but are proud of the new opportunities they are onboarding and wishing them well from the deepest of our hearts. Just after the SibosTV “summary of the week”, JP synthesized the week very well. 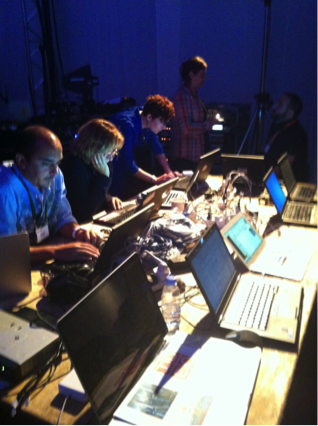 What he had seen at Innotribe was human integration, infrastructure integration, and innovation integration. But let’s be careful not to judge our work only on these externalities, as I believe the “jeans and suites” is a signal for human integration at a much deeper level that the vestimentary one. For me, the biggest insight of the week was to see the interest of bankers in topics such as creative thinking and visual expression. Like in previous year, the critics challenged us programming this sort of topics. They proved to be wrong: there is indeed a great hunger in our community to re-connect with our wholeness, our oneness, and our full human being. We all are growing a higher sensory awareness and maturity. In case you did not know yet: bankers are humans too, and that is probably our biggest hope for the future. Once again, we start from an empty page, and since a couple of weeks already, the architect’s brushes and pencils are painting on the blank canvas, eager to be inspired by your feedback and enthusiasm. See you all in Boston, 29 sep – 2 Oct 2014. 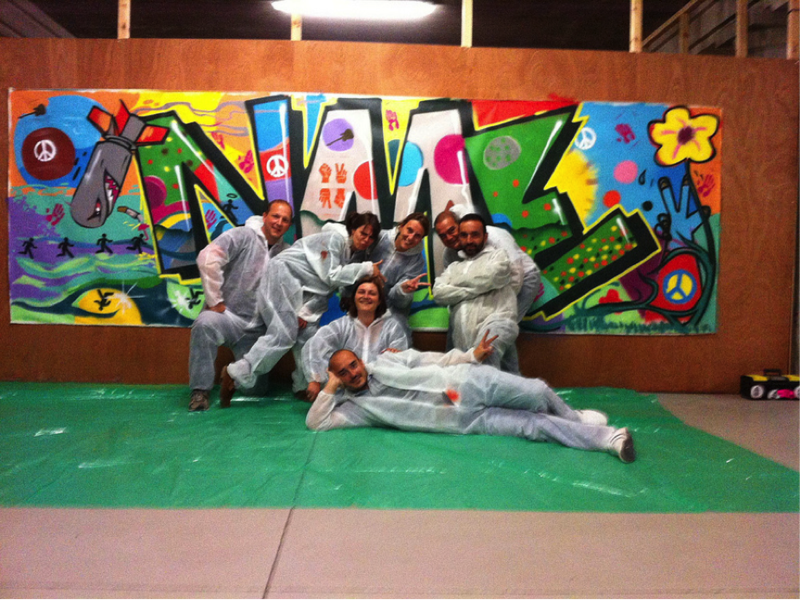 By @petervan from the Innotribe team.